KS Teuta recorded a win in the Albanian league. 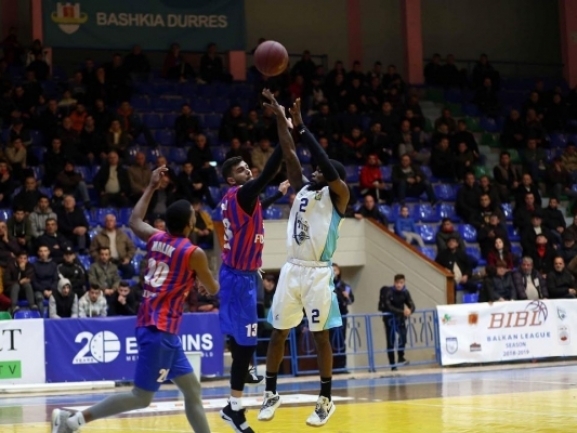 The Durres side hosted Vllaznia and had no trouble in taking a 99-77 victory. The first half however was very close as the difference at the end of it was just 2 points. With a good third quarter though the hosts moved up by 11 points and in the final ten minutes managed to increase the advantage further more. Eric Copes was the top scorer for the win with 23 points adding also 10 rebounds. CJ Wilson and Endrit Hysenagolli also did well by scoring 18 points apiece. After 12 rounds in the league Teuta is currently second in the standings with 9 wins and 3 defeats so far.